Rather than spending your energies on Black Friday hysteria, how about some inspired music? 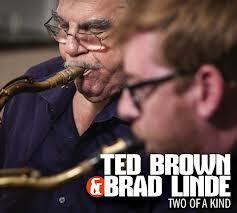 The memorable tenor saxophonist / composer Ted Brown will be celebrating his eighty-fifth birtthday in December . . . in the best possible way, avoiding the sheet cake and M&Ms but choosing instead to give us all thoughtful, sweet-natured lessons on what improvisation is all about. Two gatherings deserve your attention. One — on Sunday, December 2, will take place at Michael Kanan’s serene studio in Brooklyn, The Drawing Room, on Willoughby Street. The musical gathering will also celebrate the release of two new Ted Brown CDs — POUND CAKE, with cornetist Kirk Knuffke, and TWO OF A KIND with reedman Brad Linde. The gala starts at 7:30 PM; admission is a mere $10, and the location is 70 Willoughby Street, # 2A. Also appearing will be Matt Wilson, Murray Wall, Taro Okamoto, Sarah Hughes, Michael Kramer, Michael Kanan, and special guests. Here’s the Facebook event page. Two — On Thursday, December 13, the eloquent trumpeter Bob Arthurs will be hosting a continuation of the party for Ted — with Ted himself — at Somethin’ Jazz Club 212 East 52nd Street, third floor, from 7 to 9 PM. The Facebook event page is here. Joining Ted and Bob will be Jon Easton, piano; Joe Solomon, bass; Barbara Merjan, drums. Moving right along, in swing time . 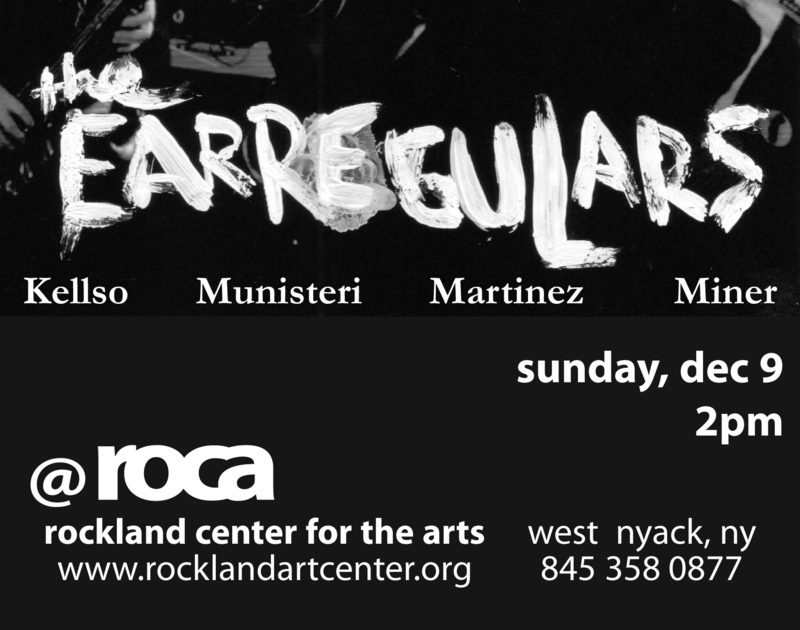 . .
For those who find it difficult to be at The Ear Inn on a Sunday night (a problem I have never been troubled by), the EarRegulars are playing a rare off-site gig on Sunday, December 9 — at 2 PM at the Rockland Center for the Arts. This edition of the EarRegulars will have Matt Munisteri, guitar; Jon-Erik Kellso, trumpet (the co-founders); Pete Martinez, clarinet; Neal Miner, string bass. Not to be missed! Details / reservations as noted above. On that same Sunday, the coolly intent, always swinging tenorist Lena Bloch will be playing at the Firehouse Space in Brooklyn, with Dan Tepfer, piano; Dave Miller, guitar; Billy Mintz, drums. The gig starts at 8 PM, and the Space is at 246 Frost Street in Brooklyn, New York: more details here. I would like to be at all four of these gigs and will do my best — but my presence and my video camera (when permitted) can’t fill the room or the tip jar — is that sufficiently subtle? — so I hope friends of the music will join me to celebrate these happy occasions.